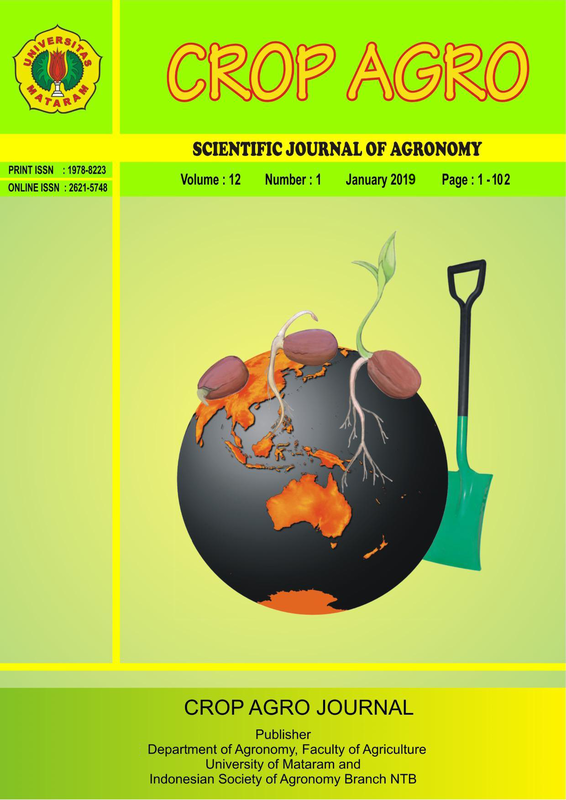 Crop Agro, Scientific Journal of Agronomy, is a scientific journal that contains writing in the form of research results related to the field of science and applied Agronomy (breeding, soil science, pests and diseases, weeds, production, horticulture, and post-harvest) that have not been published and the research has not been more than 10 years. This journal is published twice a year, on January and July. Crop Agro is published by the Department of Agriculture, Faculty of Agriculture, University of Mataram. Articles can be written in Indonesian or English.